Following receipt of grand jury indictments related to those who assisted Justin Waiki while he was on the run after fatally shooting Officer Bronson Kaliloa on (July 17), Hawaiʻi Island police have served bench warrants on individuals who are alleged to have assisted Waiki. 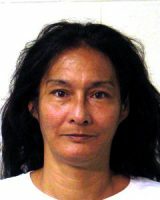 Beginning yesterday, (August 21), officers began picking up six of seven targets of the indictment, a male and two females who were at large, and today processed the two females and one male already in custody at the Hawaiʻi Community Correctional Center in Hilo following their arrest on the day Waiki was apprehended. First arrested was 33-year-old Kiel Brende who fled to Washington State several weeks ago. He was arrested with the assistance of U.S. Marshalls, the FBI and local law enforcement officers. 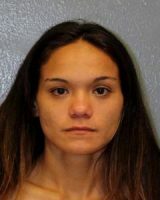 Others named in the indictment were then taken into custody locally with the arrest of 35-year-old Taumi Carr, of Puna and 24-year-old Mokihana Veincent (aka) Mokihana Luis, of Waimea. Already in custody and processed on the bench warrants were 35-year-old Jorge Pagan-Torres, 29-year-old Krystle Ferreira, and 30-year-old Malia Lajala. The seventh person named in the indictment remains hospitalized and has not yet been taken into custody. Brende, Carr, and Veincent were charged with first-degree hindering prosecution and conspiracy. 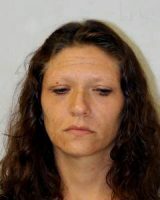 Veincent was also charged with two counts of accomplice to ownership/possession, (of a firearm), prohibited. Bail for each of these three defendants has been set at $500,000. Ferreira, Pagan-Torres, and Lajala were each charged with being accomplices to attempted first-degree murder and place to keep (a firearm), conspiracy to commit first-degree hindering prosecution and first-degree hindering prosecution. Lajala was also charged with third-degree promotion of a dangerous drug. Bail for this trio was set at $1,000,000. Brende has waived extradition and will be brought back to Hawaiʻi to face his charges, Carr and Luis are being held at the Hawaiʻi Community Correctional Center. 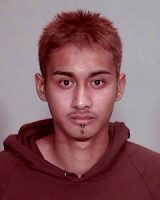 Additionally, detectives, still continuing the investigation into all individuals who may have provided assistance to Waiki while on the run, are looking for two more individuals to speak with. Sought are 53-year-old Roseanne M. Leong, of Puna and 32-year-old Robert “Robbie” Brigoli of Waimea ( known to frequent the Puna area). 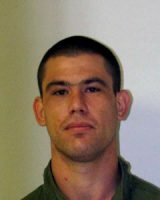 Police continue to ask that anyone who had contact with Justin Waiki between the time of the shooting on Tuesday, (July 17), at 9:47 p.m., and his apprehension on Friday, (July 20), at 2:45 p.m. or knows someone who had contact with him, to contact Detective William Brown of the Area I Criminal Investigation Section at (808) 961-2384 or William.brown@hawaiicounty.gov.